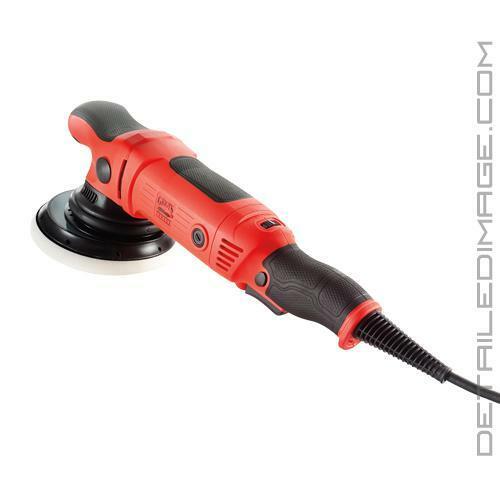 Griot's Garage THE BOSS features 900 watts and 7.5amps of muscle, with a large throw (15mm or 21mm), to combine for the perfect amount of performance, control, and comfort when polishing! The three key terms highlight exactly what innovation and features Griot's Garage packed into this state of the art random orbital polisher. The random orbital movement of THE BOSS allows you to achieve professional polishing results in less overall polishing time. What previously may have taken several sets of passes can now be done in just one to two sets of passes! The backing plate to shroud engagement is an extremely safe configuration, as it limits pad rotation. Should increased paint correction be desired, the included stainless steal washer may be inserted in between the drive hub and backing plate to induce rotation. This rotation combined with the large throw (15mm or 21mm) will deliver this super fast imperfection removal. THE BOSS may use either a 5" or 6" Pad system interchangeably. 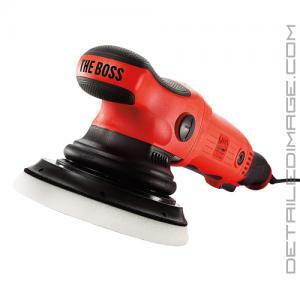 If you are looking for the perfect buffer for your detailing work, check out the Griot's Garage THE BOSS today! I feel the G15 and G21 are better tools in every way and if you are in the market for a new large-throw DA, my opinion is that THE BOSS just raised the bar to a significantly higher standard and threw down the DA gauntlet.